RENO, NV. 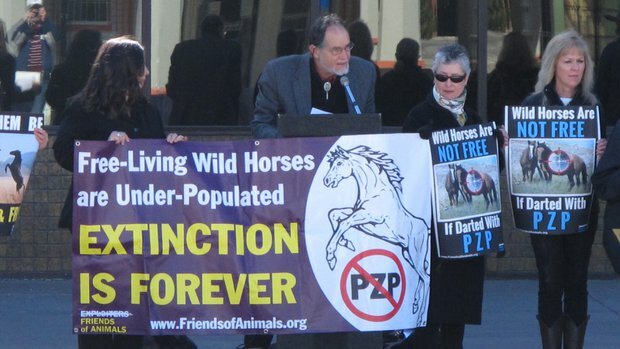 (March 25, 2015)—After U.S. District Judge Larry Hicks’ Feb. 11 decision to grant Protect Mustangs’ and Friends of Animals’ (FoA) a motion for a preliminary injunction to stop the proposed roundup of more than 300 wild horses on the 98,000 acre Nevada Pine Nut Herd Management Area (HMA), the Bureau of Land Management (BLM) announced today it has officially canceled the roundup. The famous herd from ‘The Misfits’ continues to live in freedom thanks to the National Environmental Policy Act (NEPA) and justice in federal court. “The BLM is attacking wild horses, painting them as pests that are destroying the environment while the real culprits act with impunity in their own best interest,” states actor Mark Boone Junior (Sons of Anarchy, Batman Begins). Before the proposed 2015 roundup was stopped, BLM wanted to permanently remove 200 wild horses and forcibly drug with PZP the few remaining mares to be released. 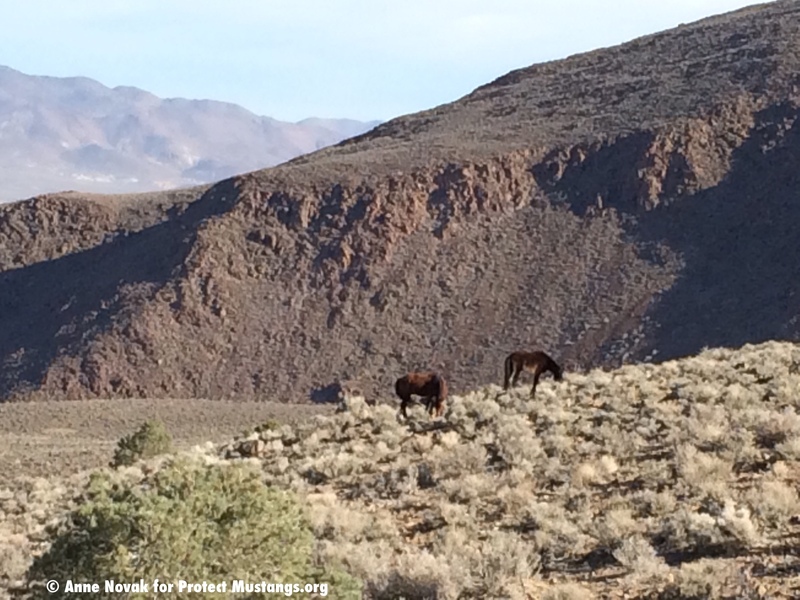 Protect Mustangs and FOA filed a case in the District Court of Nevada, arguing that BLM violated its duties under NEPA by dusting off their stale 2010 Environmental Assessment. U.S. District Judge Larry Hicks agreed to the preliminary injunction. On Feb. 11 Hicks decided that the plaintiffs showed they were likely to succeed on their legal claims and granted Protect Mustangs’ and FoA’s request to postpone the roundup. This entry was posted in Uncategorized and tagged BLM, Forced drugging, Friends of Animals, gather, Mark Boone Junior, Mustang, Pesticide, Pine Nut, Protect mustangs, PZP, roundup, Sons of Anarchy, Tami Hottes, wild horses by Protect Mustangs. Bookmark the permalink. Hopefully a new beginning fo the horses! I am so very grateful for your work protecting these horses. Thank you Anne Novak and Protect Mustangs for fighting for the rights of this legendary wild horse herd. It is good to see a judge real pay attention to what is going on and not look the other way for a change. This is good news for the Pine Nut Herd. Hoping that the land degradation can be worked through by eliminating the real culprits.